Indigenous Enterprise – proud to represent many tribes and Nations to show our proud tradition and culture through world champion Dancing/Film Making & Fashion through Native Culture. 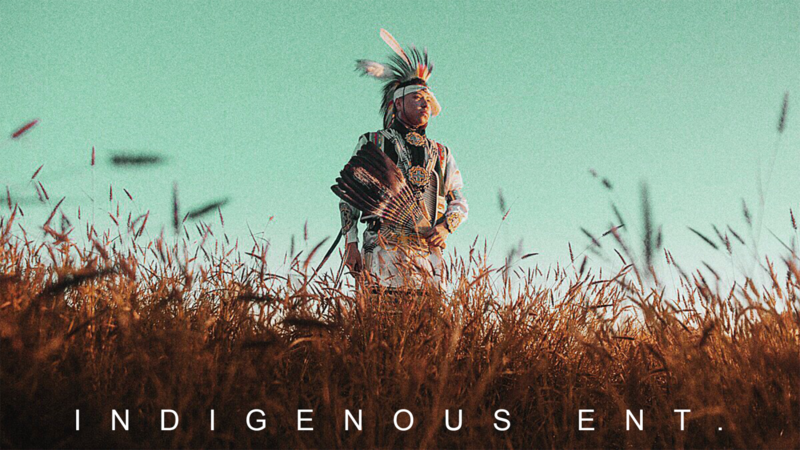 Indigenous Enterprise is a collective of Native American creatives. We Believe in spreading Native american culture through art, fashion, and production. With dancers and singers ranging from various parts of the United States, we are proud to represent many tribes and Nations to show your proud tradition and culture through powwow dancing. Our mission is to send a positive message through song and dance. We want the world to forget about the Negative stereotypes displayed about Native Americans. We want to educate the public about the real life of Native Americans by showing our strong value and respect for the drum that has been carried on for many generations. Our mission to show the world the positive side of Indian People by showcasing our Native American pow wow style of dance. We promote healthy and active lifestyles and encourage all young adults to pursue higher education. Indigenous Enterprise performed a teaching at our school in November for Native American History Month. All of the children loved the whole show and were very engaged. We will have Indigenous Enterprise back every year. We give you an insight on our new designs and logos for this season. Dog icon Cesar Millan invited Indigenous Enterprise to his private mountain in Los Angeles. We thank him for his hospitality. This documentary gives a short history on who we are as a company. It gives the highlights to some of our milestones these recent years from 2015 – 2017.